The true leader serves. Serves people. Serves their best interests, and in so doing will not always be popular, may not always impress. But because true leaders are motivated by loving concern rather than a desire for personal glory, they are willing to pay the price. My father was born in 1927 into a rural family, the youngest of six children. It was the eve of the Great Depression, and he was helping out on the farm from an early age. As soon as he graduated from high school, he enlisted in the Army Air Corps. After his discharge, he came back to Tennessee and built a gas station, which he operated for 44 years. His life was that of hard work, long hours, and low pay. Servanthood is not about position or skill – it’s about attitude. All week long I have been reflecting on the life of my father by looking at some of his character qualities including passion and integrity. This final post is a look at servanthood, and that quality, among all others, epitomized my father. My father would not describe himself as a leader, but he was. He led quietly – to the high school boys who worked for him over the course of four decades, to the customers who came to him looking for more than just gasoline, to the church he loved and served all of his life. He was a servant leader. Good leaders do good things. Their lives matter. Servant leaders do great things. They help others’ lives to matter by serving them. Servant leadership is great leadership. He made a living by what he got; he made a life by what he gave. In the days following the death of my father and his memorial services, I have been thinking a great deal about his legacy and influence on my life: past, present, and future. I realized that his influence has impacted not only my life, but hundreds of others as well. In his honor, I will be posting thoughts this week about that influence, and how it challenges me. Along the way, there will be applications for ChurchWorld leaders as well. As we move through this thing called “life,” don’t we all wish we had a guide, a coach, a model, an advisor? We’re looking for a mentor. My father would not have used that word, but he did better than that: he lived and practiced being a mentor for decades. After he was discharged from the Army Air Corps in 1946, he returned home to Mt. Juliet, TN, and began working with his brother to build and open a Gulf Service Station. After several years of work, Adams Brothers Gulf opened in 1949. 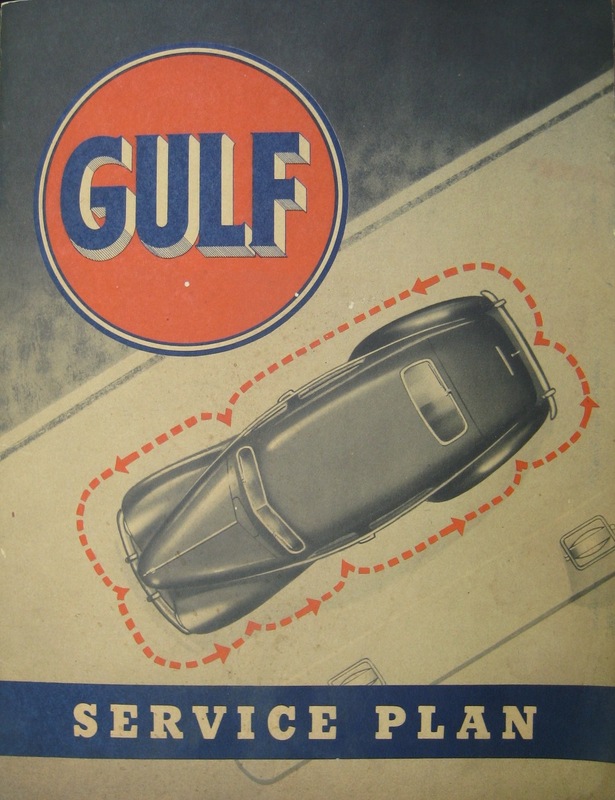 For the next 44 years, my dad – known as “Doc” to friends and family – operated the gas station as a full service station providing not only gasoline but also preventive maintenance and tire services. He operated the station 6 days a week, 12 hours a day – and he was the only full-time employee. According to my dad, when you graduated from high school it was time for a “real” job or college. And so over the years, about fifteen young boys (including my brother and I) worked for my dad pumping gas, changing tires, sweeping, cleaning, painting, etc. – whatever was required. We all received a paycheck, but the life lessons we learned were far more important than the money. At the funeral, as many of “Doc’s boys” as we could find served as pall bearers and honorary pall bearers. Some were only a few years younger than my dad; others are barely in their forties. All have gone on to lead a successful family and business life. To a man, they each expressed their heartfelt gratitude for what Doc meant to them. They wouldn’t say it, but they in turn have, and are, influencing others the same way. If you are a leader, you should be a mentor. How are you going to influence others today? How are you going to continue to influence others beyond today? My son, serving in the Air Force, worked with my wife to create this picture, which they gave me on my father’s birthday yesterday. When my father entered the Army Air Corps in 1945, he was assigned to the 36th Airlift Squadron, part of the 3rd Air Force. He was not part of an air crew, but served as a mechanic. The squadron’s plane was the C-47. 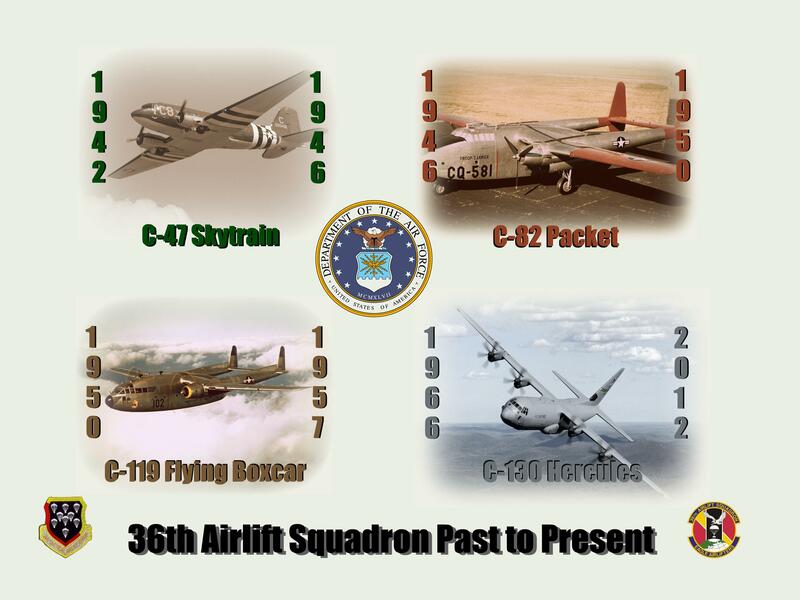 The planes depicted show the succession over the years since the C-47. I think it’s pretty cool that my son would honor the memory of his grandfather by working on this and sending it to me. I have a large print framed (thanks to my wife) hanging on my office wall.